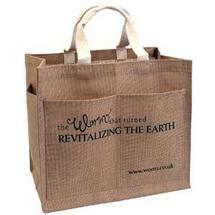 Revitalize the earth with our famous and spacious jute garden bag. 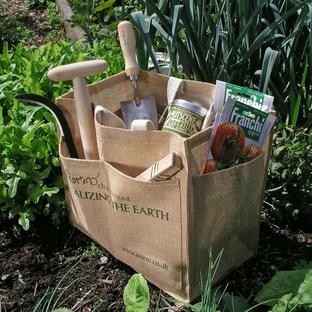 With six pockets for all the accoutrements of gardening you find this bag will hold the contents of a small shed :) Strong handles mean that you can even fill the bag with weeds and soil etc, if you want to use it that way. 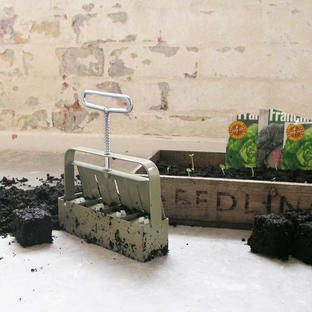 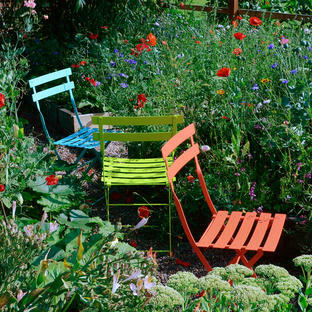 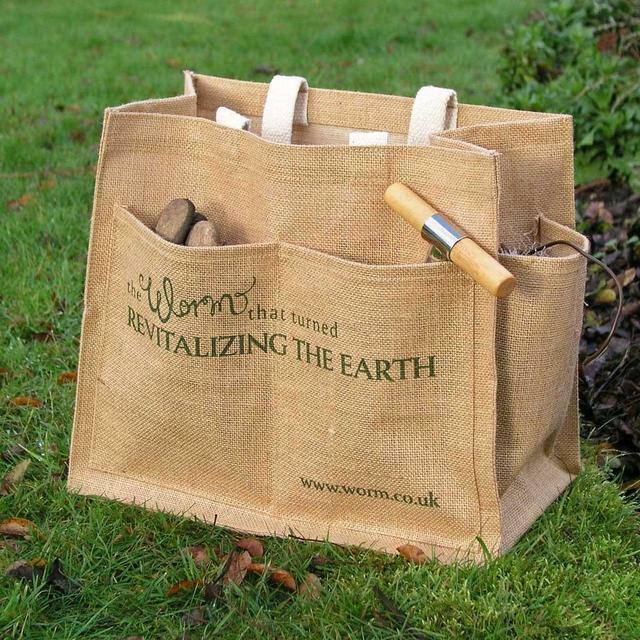 Alternatively, use it as shopping bag and show the world where to get the very best garden items from. Made from 100% natural jute fibre.